· Bayne will make his 16th Monster Energy NASCAR Cup Series (MENCS) start at Talladega this weekend. In 15 previous starts, Bayne has an average finish of 26th with three top-10s. · Bayne’s best finish at the 2.66-mile superspeedway came in the 2017 fall race where he crossed the line third, one of his three top-10s dating back to 2011. He also finished eighth for The Wood Brothers in 2012, and crossed the line 10th in the 2016 spring race. · Bayne has started in the top-10 in five of his 15 races at Talladega, with the best qualifying effort coming in 2011 where he lined up fourth. He qualified 10th in last season’s fall race, and fifth last spring. · In four starts at Talladega in the NASCAR Xfinity Series, Bayne has recorded two top-10 finishes. Bayne earned his best finish of sixth in the spring 2011 event. · Bayne lined up 21st for the spring race in April, but was collected in a multi-car crash on lap 71 to finish 38th. 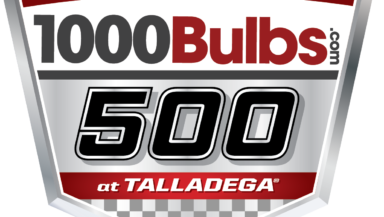 · Matt Puccia will call his 15th MENCS event at Talladega on Sunday. In 14 previous starts, Puccia has five top-10s and three top-fives with a best finish of second in 2014 with Greg Biffle. · Puccia’s average finish as a crew chief at the 2.66-mile track is 18.6, and he was also atop the box for Bayne’s 10th-place result in 2016, and third-place finish last fall. Matt Kenseth battled a tight-handling car and couldn’t recover, crossing the line 20th at Dover International Speedway last weekend.